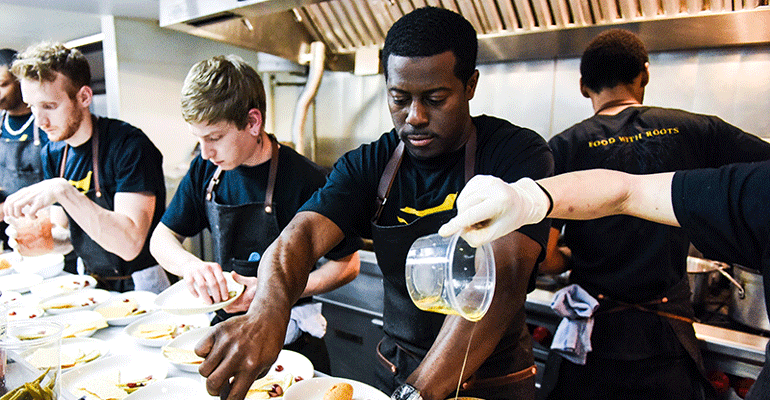 First the headline: More women than men won James Beard Foundation Restaurant and Chef Awards. 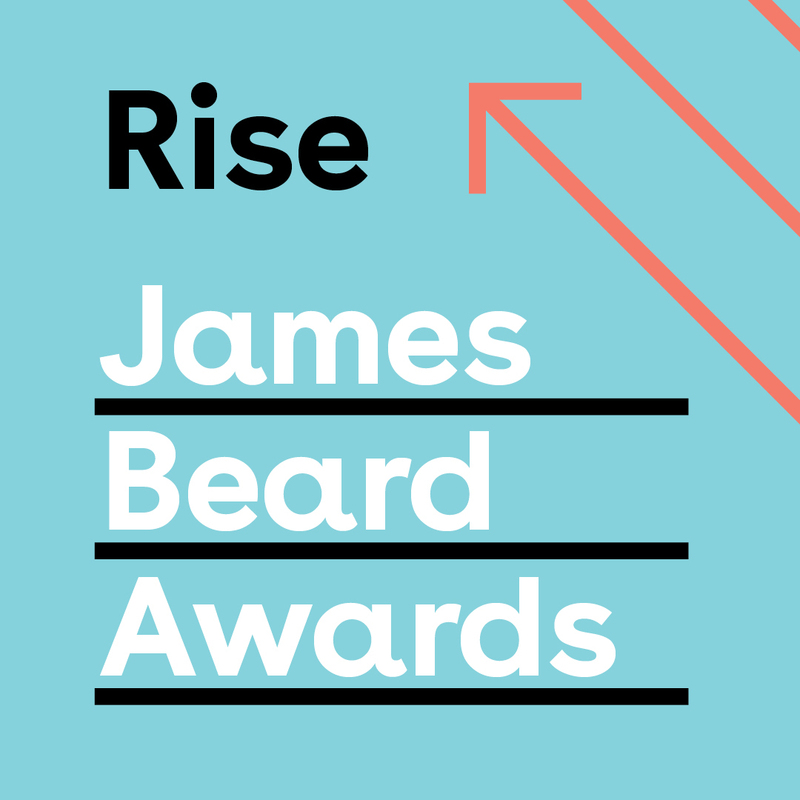 Not counting the national awards that go to restaurants rather than people — such as Best New restaurant, which went to JuneBaby in Seattle, and Outstanding Restaurant, which went to Highlands Bar & Grill in Birmingham, Ala. — nine women and seven men won Beard Awards. 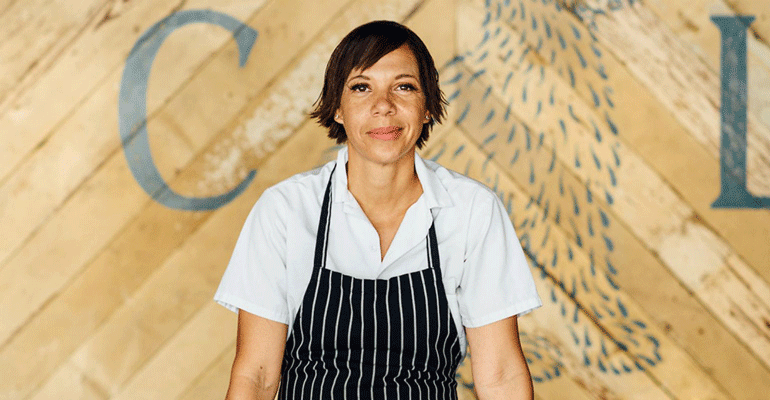 Among the female winners were prestigious national categories, including Rising Star (Camille Cogswell of Zahav in Philadelphia), Outstanding Chef (Gabrielle Hamilton of Prune in New York City), Restaurateur (Caroline Styne of The Lucques Group in Los Angeles) and Outstanding Pastry Chef (Dolester Miles of Highlands Bar & Grill). Outstanding Baker went to the woman-and-man team of Belinda Leong and Michel Suas. All of the winners can be found here. Does it matter what gender a chef is? Of course it shouldn’t, but it kind of still does. So does race, and an extraordinary four African-Americans won Beard Awards Monday night: Edouardo Jordan — who won two awards, for best chef in the Northwest and Best New Restaurant — Dolester Miles, Nina Compton and Rodney Scott. That’s compared to zero African-American winners in most years, including last year. We’re not yet in a color-blind, gender-neutral society, nor in one in which people of all genders and backgrounds have equal opportunity, and the James Beard Foundation Restaurant and Chef Awards judges — more than 600 people, I’m told, comprised of members of the media and past Beard Award winners — might have had that in mind when they were voting. That’s not to say the winners aren’t deserving: Hamilton, in accepting her award for Outstanding Chef in the country Monday, recalled that when she won the award for best chef in New York City in 2011, one critic said that the only reason she won was because her best-selling book had been published that year. And I have to say, I’m sure that didn’t hurt. In some ways the Beard Awards are a popularity contest and if you’re enjoying popularity in the media, a few extra votes might go your way. But it’s still a harsh and unprovable thing to say. From what I’ve seen, having an honor thrust on you like the declaration that you’re the greatest chef in a city of great chefs is thrilling, but also startling, surreal, and kind of unbelievable. I’ve attended many Beard Awards — around 15, I think — and chefs in public or private have often admitted to feeling like frauds when accolades like that start coming their way. They’re just doing their best to run their restaurants, generally an unglamorous job of managing fragile human beings and unstable equipment. So when you get something like a Beard Award, you’re often disinclined to believe that you deserve it. To have someone put those fears in writing must have a shattering effect, and Hamilton said it took her until now to recover from that blow. For what it’s worth, the last time I ate at Prune it was superb. I wouldn’t say Hamilton got the Outstanding Chef award because she’s a woman any more than I’d say Grant Achatz of Alinea in Chicago won Outstanding Chef in 2008 because he’d been in a pretty public fight against cancer that year. It could have swayed some votes, but he also was undeniably deserving, as is Hamilton. These were the fourth Beard Awards held in Chicago, and the first time I attended them there. Before that, they were in New York City and I attended just about every one since I started at Nation’s Restaurant News in 1999 (the first time, three months into the job, I was following a senior editor around writing captions and had to ask Danny Meyer who he was — how embarrassing). They’ve changed in level of pomp and circumstance a lot since then, but that happened long before the move to Chicago. My impression of the awards, and the reception and after-parties that follow, is that the shift in cities didn’t change much. It turns out that Midwesterners are just as pushy and ungracious when trying to nab bites of food from the famous chefs who cook at the post-awards reception. In a way, that’s understandable, as those attendees who aren’t members of the press or nominees or their supporters are avid foodies who genuinely want to try the latest trendy foods. They paid a lot of money for the tickets and they’ve been sitting through a ceremony that generally lasts around four hours (3:45 on Monday). Still the spectacle of people in formalwear body-checking each other for some bluefish rillettes is kind of jarring. Also, the star power of the award presenters has gone up considerably. Celebrity chefs have been on the Beard Awards stage for years, and mainstream celebrities such as Kim Cattrall and John Ritter have emceed the awards in the past (this year emcee Carla Hall did an admirable job of combining enthusiasm with goofiness while also keeping the ceremony moving along). However, now pretty big stars take the stage for rather small presentations. Celebrities including racecar driver Danica Patrick, Colby Lewis from the Chicago cast of the musical Hamilton, and actress Zooey Deschanel presented awards. I think in a (failed) move to shorten the length of the ceremony, the Americas Classics awards, which go to longstanding landmark restaurants, were presented in a single video, and all of the owners of the five winning restaurants — Sun Wah in Chicago; Galleria Umberto in Boston; Los Hernandez in Union Gap, Wash.; El Guero Canelo in Tucson, Ariz.; and Dong Phuong Bakery in New Orleans — were brought on stage at once. Previously, each restaurant had its own, usually beautifully presented, video and the winners got to give a speech. This year the theme of the awards was given more prominence. It was simply: Rise. It was intended to celebrate how restaurants rise to the occasion of championing causes and helping their communities. It was exemplified by the choice of Humanitarian of the Year, José Andrés, who has been coordinating relief efforts to disaster-stricken areas since the 2010 earthquake in Haiti and led a high-profile mission to prepare millions of meals last year to hurricane-stricken Puerto Rico.